Finding the perfect fit for a sports bra has a lot to do with the overall function of the clothing rather than, just the cup size. The biggest mistake that women make is being unrealistic about their needs which is probable given the fact that nowadays a lot more stress is put on how stylish the bra is or how attractive it makes a person look. Therefore, it is always important that before picking up a bra always make sure to be practical while shopping. Recognize whether you've changed size, lost or gained weight, had a baby or made a change in your workout regime. The more honest you're with yourself, the quicker you can find out the right fit about your sports bra. Retailers can bulk purchase wholesale fitness bra from the reputed gym clothing manufacturer by contacting them. 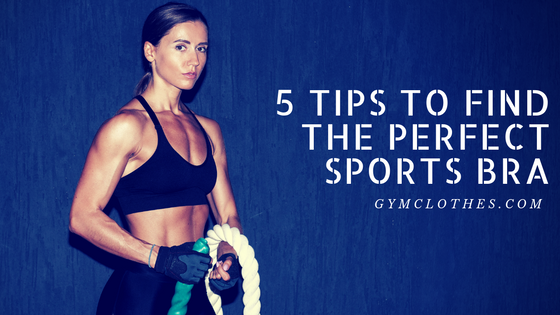 Hence look out for the five tips that will help you to buy the perfect sports bra.